Hey friends! It is Odie writing to you today. I hope you have had a grand week. We have enjoyed our week in Citronelle, Alabama. It is always good to be with our friends at Cedar Creek Holy Church of God. I love getting to see Pastor Darius Templeton and family. I love the Templeton family dearly. They were my Youth Pastors at Dryden Road Pentecostal Church for 12 years. We will always have a special bond. I am forever thankful for their Godly influence on my life. 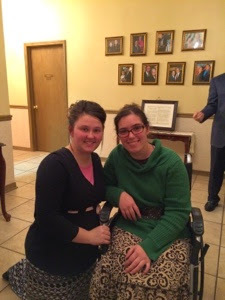 We had wonderful fellowship from the area this week. It is always a treat to see friends. We are very thankful when someone takes time from their busy lives to visit revival. I was especially excited to see Bro. Andrew and Sis. Rushell Parker and their girls. I met Rushell in Texas years ago, back when she was still Rushell Bernard. The Benard family were great to support our revivals in Texas. They were always an added bonus to the services. I still remember some of those glorious times in the Lord. One night years ago Rushell came to church with an adorable purse. I am a purse lover (My Dad would say I am a bag lady) and I complimented her purse. We then had a conversation about our mutual love for purses. When it was time to leave church, Rushell brought me the purse emptied of her belongings and gave it to me. I was flabbergasted and tried to decline the gift but she would not accept it back. What a nice thing to do. I loved that purse and carried it until it was falling apart. It was a reminder to be careful who you compliment. LOL. It also taught me how a simple act of kindness can brighten someone's day. It made my day back then and I still remember it now. I am once again thanking God for putting friends in my path. Rushell and I have kept in contact over the years. Our paths do not get to cross often but I love it when they do. She is now married to Andrew Parker. They have 2 beautiful daughters and a 3rd addition coming this summer. 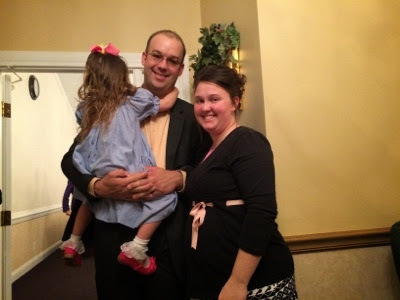 I am hoping I get to see them more now that they pastor in Alabama and we are through here a couple of times each year. Join me in trying to make someone smile on purpose this week. It does not have to be anything drastic. I love catching someone off guard and doing something nice for them. It is as easy as sending a text, making a phone call, giving a hug or a gift showing up in their email, mailbox or at their door. Whatever you choose, I guarantee that that you will make somebody smile and you will be smiling too..
Love your posts; and you always have a way of making everyone smile, regardless of what you do! Love you much! Your CA sister!!! Do You Know Pastor Darius Templeton?